I can admit when I'm wrong, and my perceptions about Dr. Scholl's were wrong. When I got an invite to the Dr. Scholl's store grand opening in San Marcos, I thought to myself, "Nah. Orthopedic shoes aren't really my thing", but thankfully a quick glance at the online shop was enough for me to see that shoes deemed comfortable were not necessarily the flat, bland, grandma shoes I had in my mind. 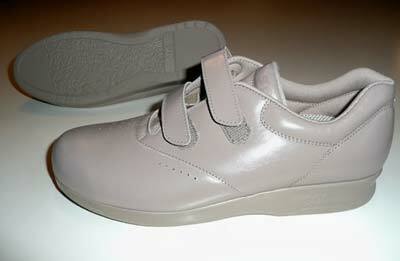 I wanted to know if these cute, stylish shoes were really as comfortable as the brand claimed. So this morning at eight a.m., Bee, Sarah, and me made the 45 minute trip to the San Marcos outlets to see if the shoes were as cute as they were online and as comfortable as they claimed to be. 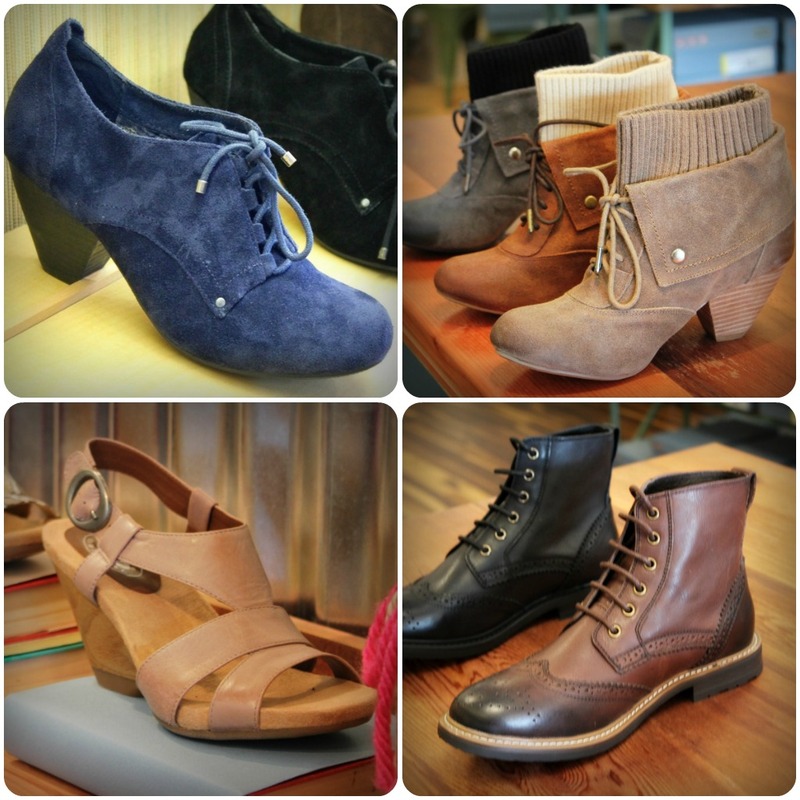 The first pair of shoes I tried on were the navy blue Addler booties (top left). Everyone laughed when my jaw dropped open and I said, "No. Way. I didn't know shoes could be this comfortable." Seriously, people. They were so light and cushiony that it was like walking around in shoes made of marshmallows. I didn't feel like I had a heel on at all. I should have brought Chris with me. The Oren boots (bottom right) were so good looking and weighed a fraction of what you'd think they'd weigh. I almost whacked a lady in the head when someone gestured for me to pick up the boots and I overcompensated; yes, they were that light. After an hour and a half of hemming and hawing, I ended up getting these amazing three-in-one Jasper boots: These real leather boots come with a detachable cuff and a fur cover to give you three different boot options in one pair. I know, I know. The fur detail is a little much (we'll all call them my clydesdale boots), but after seeing this runway shot from Chanel I haven't been able to shake the desire for boots with the fur! My buddy Sarah got these super cute gray boots. The ruffle detail up the side and the top make them way different than any other gray boot I've seen out there. Anyway, I don't mean to sound like a commercial. Dr. Scholl's is not a paying advertising partner with Adored Austin, and this is not a sponsored post. I just wanted you to know that Dr. Scholl's is a viable option in the cute shoe world. I didn't know that! Did you? 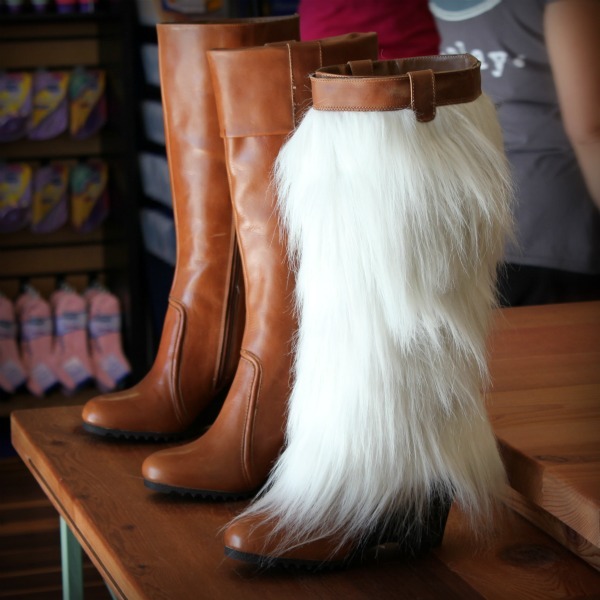 The kind people at Dr. Scholl's have even agreed to let me host a giveaway so that one of you can see for yourself on the house (yes, this could include the $250 Jasper boots that incidentally, they also sell with a knit cover instead of the fur one). To enter simply fill out the form below. Check out DrSchollsShoes.com when you have the chance so that I know what shoes you like best. As always, no need to follow me on a bazillion social networks or to Tweet or reblog this contest for extra entries. Please, only one entry per person. Edit: Form removed. Entry period over. Winner announced soon!